The Alpine Community Center has been an “Emergency Food Pantry” for the Alpine community for the past 6 years. Recently we noticed a marked increase in requests for assistance and we depend solely on donations to stock this Pantry. Until now the major donor to this cause has been Alpine’s Christ the King Episcopal Church. We now require additional donations to keep up with the need. The type of foods we are able to store and distribute are nonperishable items such as canned tuna, chicken, vegetables, chili, peanut butter, crackers, beans, rice, pasta, etc. We also need pet food and personal hygiene products. Please check expiration dates before donating items. Donations can be delivered to the Alpine Community Center on Mondays, Tuesdays, and Thursdays between the hours of 9 am and 4 pm and on Fridays between the hours of 9 am and 1 pm. 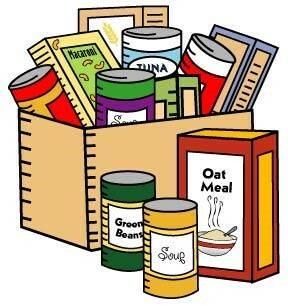 We also accept monetary donations which will be used to purchase food items. 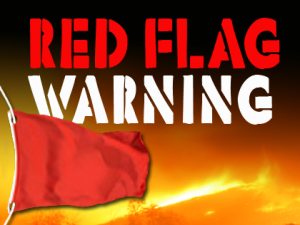 A Red Flag Warning has been declared for Friday, October 19 from 3:00AM to 10:00PM by the National Weather Service due to forecasted strong gusty winds and low humidity. In response, SDG&E will fully staff its Emergency Operations Center to monitor weather conditions throughout the duration of the event, especially in the high fire risk areas of the county. At SDG&E, our highest priority remains the safety of our employees and the public. If weather conditions threaten the region, we will need to turn off power for safety. Because this is more likely during windy conditions, we are encouraging customers to be prepared with flashlights, extra batteries, a battery-operated radio, and a phone that does not require electricity. SDG&E has also proactively called customers in the affected areas to alert them of the possibility of power outages related to high winds and reminding them to be prepared to activate their personal emergency plan. We are also reminding customers to always be aware of the potential for downed power lines due to the winds. Please don’t hesitate to call 9-1-1 to report a downed power line. We encourage customers who live in the areas where the high winds are forecast to be strongest to monitor SDGENews.com for the latest information. The following communities that could be affected include Alpine, Boulevard, Buckman Springs, Boulder Creek, Crestwood, Descanso, Glencliff, Inaja Park, Japutal, Lake Wohlford, La Posta, Lucky Fire Ranch, Mesa Grande, Mt. Laguna, Santa Ysabel, Sill Hill, Valley Center, Viejas, and Wynola. 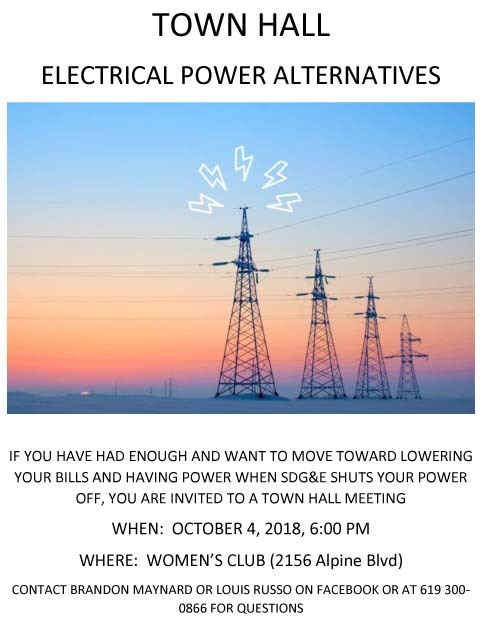 If you have HAD ENOUGH with SDG&E and want to move towards lowering your bills and having POWER when SDG&E shuts your power off, you are invited to a special Alpine Town Hall Meeting on October 4, 2018 at 6pm at the Alpine Women’s Club (Town Hall) located at 2156 Alpine Blvd., Alpine Ca 91901. Alpine Residents have the opportunity to let the County know what we want, and don’t want. This is part of the County’s process to update our community plan and your input is highly desired. 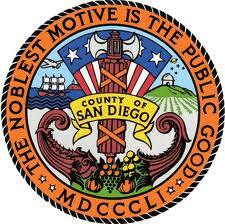 This meeting will be run by the San Diego County Planning and Development Services Department and is the subject of the letter many are getting. It will be held at the library. 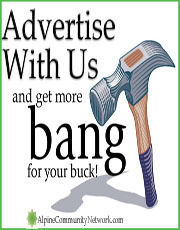 in physical impacts on the environment. The purpose of this Notice of Preparation (NOP) is to provide interested stakeholders with sufficient information describing the project and the potential environmental effects in order to make a meaningful response as to which environmental issue areas and alternatives to the project should be analyzed within the SEIR. Comments on the NOP will be accepted for 30 days following issuance of this notice and must be received no later than October 1, 2018 at 4:00 p.m. Comments on the notice of preparation document can be emailed or sent via mail to Greg Kazmer, Environmental Coordinator. Consistent with Section 21083.9 of the CEQA Statute, a public scoping meeting will be held to solicit comments regarding the scope and analysis of the supplement to the 2011 General Plan Update Program EIR. The purpose of this NOP and scoping meeting is to provide responsible agencies and the public with information about the CEQA process and to provide further opportunities to identify environmental issues and alternatives for consideration in the SEIR. Public comments received during the NOP scoping process will be included as part of the SEIR. The California Environmental Quality Act (CEQA) Guidelines, Sections 15162 through 15164, set forththe criteria for determining the appropriate additional environmental documentation, if any, to be completed when there is a previously certified EIR covering the project for which a subsequent discretionary action is required. The SEIR for the proposed project will tier from both the GPU PEIR and the FCI SEIR. A Program EIR for the County’s General Plan Update (GPU), Environmental Review Number 02-ZA-001, State Clearinghouse Number 2002111067, was certified by the Board of Supervisors on August 3, 2011. Of these seventeen environmental subject areas, it was determined that only geology and soils and population and housing would not involve potentially significant impacts. The remaining environmental issues evaluated included impacts that would be significant and unavoidable, with the exception of impacts associated with the following four subject areas, which would be mitigated to a level below significant: cultural and paleontological resources, land use and planning, recreation, and climate change. On December 14, 2016, the Board of Supervisors approved the FCI project. The FCI lands entail approximately 72,000 acres within 13 communities within the unincorporated County. Of those, 1,354 parcels containing 13,747 acres are located within the Alpine community. The FCI was a voterapproved initiative which required that private lands within the Cleveland National Forest in San Diego County have a minimum lot size of 40 acres. The FCI was originally approved in 1993 and expired on December 31, 2010.
the areas affected by the FCI reverted to the land use designations in effect before the FCI was enacted. Principles, and Policies were applied to the former FCI lands. All community plans supplement the County General Plan. Community plans contain information and policies concerning land use, housing, circulation, conservation/open space, public facilities and services, recreation, and community character. However, other issues can be addressed, depending on community circumstances. The policies and programs contained in a community plan, which must be consistent with the County General Plan, are intended to provide long-term guidance and stability with respect to implementing County General Plan policies and programs. 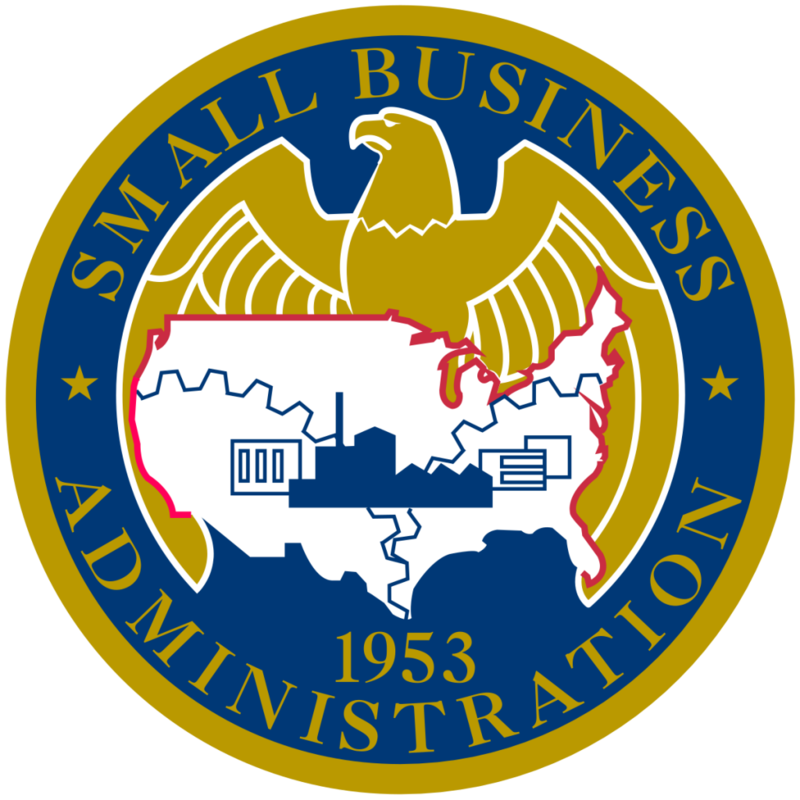 The Alpine Community Plan was adopted on December 31, 1979; it was last amended in December 2016. 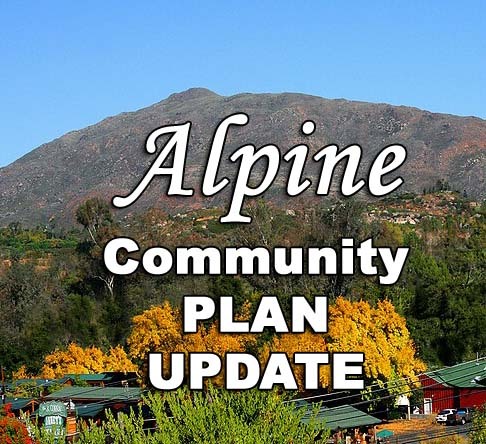 The proposed project is a comprehensive update to the Alpine Community Plan. Because all community plans are components of the County General Plan, this action requires a General Plan Amendment (GPA). The proposed project would update and refine the current plan’s goals and policies to reflect the character of Alpine and guide growth and development. The ACPU includes an infrastructure study and market analysis, which are intended to provide additional information to guide decision-making. It will also provide an opportunity to consolidate regulations, such as zoning and design guidelines. The ACPU will provide strategies and specific implementing actions to ensure that the land use vision will be accomplished. The implementation plan organizes and prioritizes actions, which are intended to parallel existing County efforts. The ACPU may set forth changes in land use designations based on a constraints analysis and community input. In large part, existing zoning will be applied to land uses, although new designations that better support the goal of mixed-use development as well as transit-oriented development may also be developed. The project will further refine the land use patterns established as a part of the 2011 GPU and 2016 FCI projects. The structure of the ACPU will mirror the County General Plan where possible, including the land use, mobility, conservation/open space, housing, safety, and noise elements, although some elements may be omitted from the community plan where unique goals/policies/analyses are not applicable. A special development feasibility study is being prepared to analyze several Areas of Consideration (as defined in the FCI SEIR) for future development. The feasibility study will include an assessment of infrastructure needs associated with roads, water, sewers, electricity, and fire protection and be used to determine appropriate land use densities and zoning designations. The feasibility study will consider Areas of Consideration AL-3, -4, -5, -6, -7, and -11B. As previously described, the project will require an SEIR that will tier from the GPU PEIR and FCI SEIR. This SEIR will use information from both of these EIRs and provide more specific analysis and details for the Alpine Community Plan Area (CPA). The components of the ACPU are still being developed. However, development of the ACPU will be guided by and must remain consistent with the goals, policies, and planning concepts identified in the County General Plan and other relevant County plans and programs. Guidelines 15183 specific to the Alpine CPA. CEQA requires that public agencies consider the potentially significant adverse environmental effects of projects over which they have discretionary approval authority before taking action on those projects (Public Resources Code Section 21000 et. seq.). According to California Code of Regulations Section 15064(f)(1), preparation of an EIR is required whenever a project may result in a significant adverse environmental effect. An EIR is an informational document that is used to inform public agency decisionmakers and the general public about the significant environmental effects of a project, identify possible ways to mitigate or avoid the significant effects, and describe a range of reasonable alternatives to the project that could feasibly attain most of the basic objectives of the project while substantially lessening or avoiding any of the significant environmental impacts. Public agencies are required to consider the information presented in the EIR when determining whether to approve a project. CEQA Guidelines Section 15163 states that a lead agency may choose to prepare a supplement to the EIR rather than a subsequent EIR if the changes proposed meet the conditions described in Section 15162 and only minor additions and changes are necessary to make the previous EIR adequate. The Alpine Community Plan would be updated to incorporate goals and polices from the General Plan Update and reflect the character of Alpine. 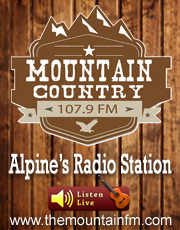 It would refine the current plan’s goals and policies to guide growth and development within the Alpine community. As such, the County is proceeding with preparation of a supplement to the GPU PEIR and FCI SEIR. 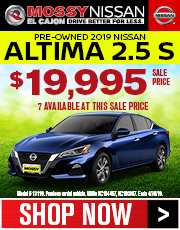 Alpine is an unincorporated community in the eastern portion of San Diego County, approximately 25 miles east of downtown San Diego (Figure 1). 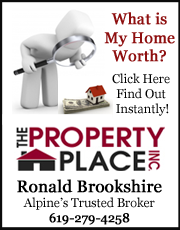 The Alpine CPA covers approximately 68,100 acres of land that is characterized by diverse geography, residential land use patterns, and an established town center area. The most distinguished geographic features are the rugged peaks of the Viejas and El Cajon Mountains near El Capitan Reservoir in the northern portion of the community as well as the hills and valleys around Loveland Reservoir in the southern portion. The Alpine CPA is bisected by Interstate 8, with the majority of the population concentrated in and around the Alpine town center, which is adjacent to the freeway. Cleveland National Forest comprises most of the land in the eastern and northern portions of the CPA. 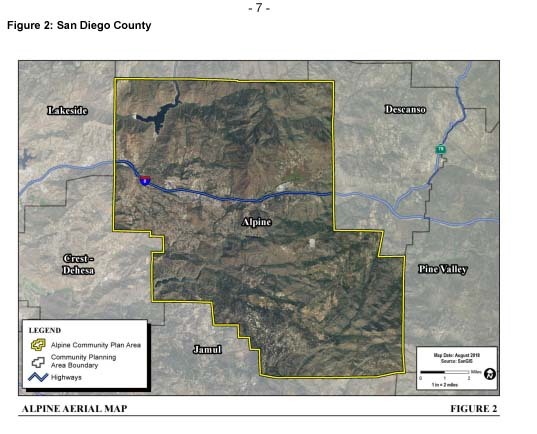 The Alpine CPA is bordered by the Central Mountain Community Plan area to the north and east, the Jamul Dulzura Community Plan area to the south, and the Lakeside and Crest-Dehesa-Harbison Canyon-Granite Hills Community Plan areas to the west (Figure 2). 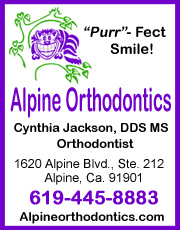 The Alpine CPA includes the suburban Glen Oaks neighborhood in the western portion and the Viejas Mountains, El Cajon Mountains, and Cleveland National Forest in the east. The elevation of the terrain ranges from approximately 1,500 feet at the vegetated drainages to more than 4,100 feet in the semi-arid hilly terrain of the Viejas and El Cajon Mountains. The town of Alpine, which is in the north-central portion of the CPA, is the most densely populated community within the planning area. Local development on both sides of Interstate 8 consists primarily of residential/rural-residential, commercial, industrial, and mixed uses. The planning area also includes the communities of Peutz Valley, Japatul Valley, Hidden Glen, Dunbar Lane, and Galloway Valley. Development within these communities consists of rural-residential and light agricultural uses. 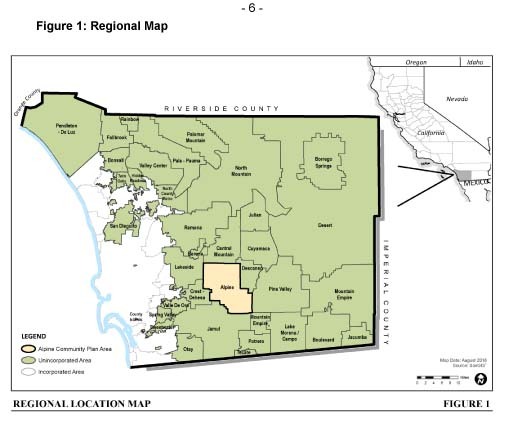 The Viejas Indian Reservation and Capitan Grande Reservation are also within the boundaries of the Alpine CPA; however, they are not within the County’s jurisdiction. The following is a list of the subject areas to be analyzed in the ACPU Supplemental EIR. As previously mentioned, comments on the NOP will be accepted for 30 days following issuance of this notice and must be received no later than October 1, 2018 at 4:00 p.m. Comments on the notice of preparation document can be emailed or sent via mail to Greg Kazmer, Environmental Coordinator. or email CountyFireRecovery@sdcounty.ca.gov. Both will be staffed by County employees from 8:00 a.m. to 5:00 p.m., 7 days a week. Callers can leave a voice mail after hours and County staff will return the call the next day. 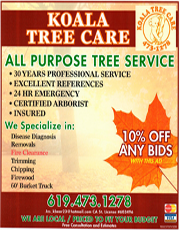 July 12, 2018 – Two of us with the Greater Alpine Fire Safe Council (GAFSC) toured the View streets in Alpine yesterday and it appears that some folks may be interested in chipping downed &/or charred limbs or branches. This next week, July 16-20, is our regular Zone 3 chipping event which includes the View streets. We will chip ANY of the subject materials staged by the curb or along a driveway as we pass thru, registration will not be required and materials should be staged by Sunday the 15th. We ask that our normal rules be observed, for clarity we cannot chip any building materials, and that the crew can get in and out; for more info see: www.greateralpinefsc.org. *We intend to offer an additional stand alone Emergency Free Chipping event to the fire victims in this area at a time and date that is approved by AFPD Fire Marshal. 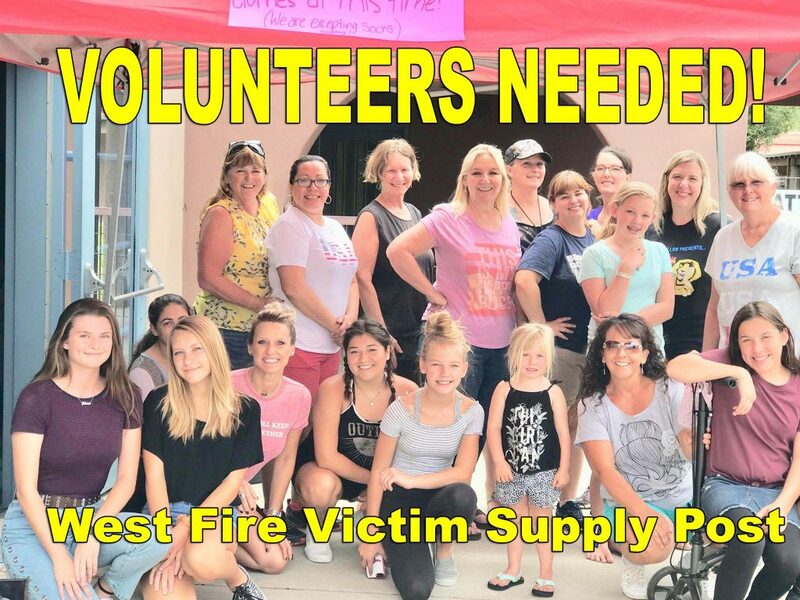 **NOTICE** VOLUNTEERS NEEDED at the West Fire Victim Supply Post! 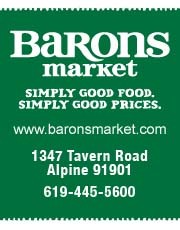 We are still open and happy to help fire victims at Boulder Oaks Elementary School (2320 Tavern Rd.) . Whether you lost your home and need immediate supplies, you sustained severe smoke damage and need to replace items in your home, or even if you just lost power and need to restock your refrigerator, we have lots and lots of supplies. Please please please come and take what you need! 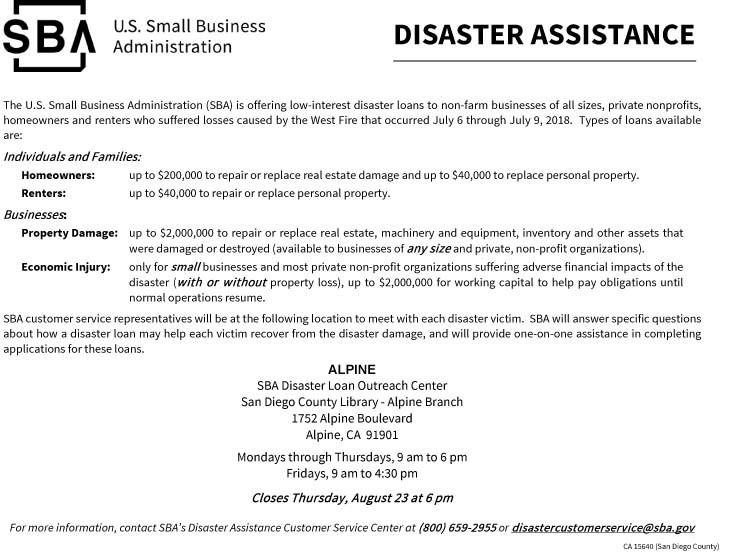 You can also find important updates on this supply post and information on items still needed by liking and following the Alpine West Fire page (like below). Contact Stephanie for volunteering and donating at (619) 573-5638. PLEASE SHARE THIS POST to spread the word and reach as many people as possible!